This Environmentally Friendly Porch Swing is Available in Over 20 Different Colors. The traditional porch swing is a long-time outdoor staple; Berlin Garden's Comfo-Back Swing may be the best ever version of this perennial favorite. 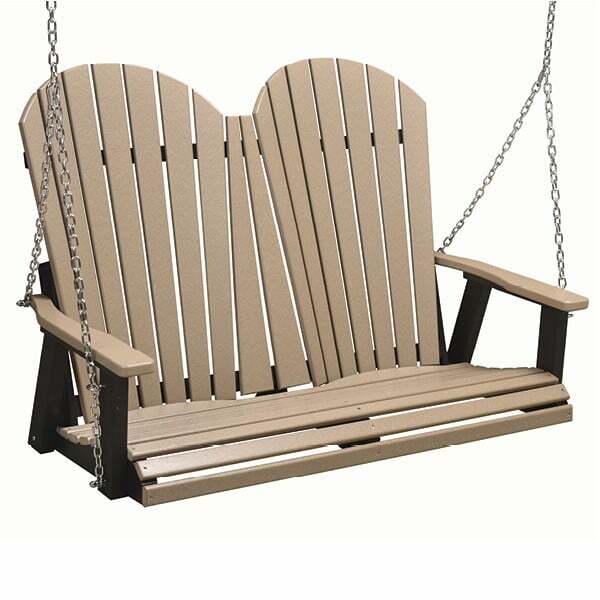 This environmentally friendly porch swing is fashioned of recycled post-consumer high density polyurethane; it is durable, comfortable, and requires no maintenance to keep it looking fabulous. The Comfo-Back is available in over 20 gorgeous colors, including both tropical brights and earthy neutrals and it comes with stainless steel chains so you can get busy swinging.